The Philippines assumed the leadership in nickel production after Indonesia closed down some of its nickel mines in 2014. However, the nickel miners in the country are up in arms as 23 mines were slapped with closure orders, earlier this month. Saying that the nickel mines are only extracting nickel is like telling the West that their explorers were only after spices during their exploration Eastward in the 1500s. Both Indonesia and the Philippines are known sources of gold deposits where Khazarian shell companies have mining concessions with. The decision to close down these mines is due to the wanton destruction that the mining activities throughout the country have inflicted on the environment and the communities which are hosting them. 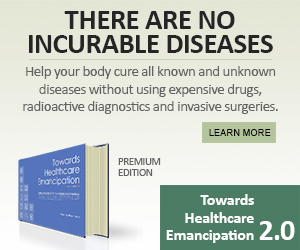 It is estimated that while mining only makes up 0.7% of the country’s GDP, 95% of the revenue from the mines goes out of the country, and do not even generate enough jobs which could justify their existence. As expected, the environment secretary, who made the decision is now at the receiving end of some vicious attacks from the miners, including those coming from the politicians themselves, whose families are happy beneficiaries of generous perks and favors from these mining companies. Benguet Corporation in Itogon, Benguet and Ore Asia Mining and Development Corp. in Bulacan were likewise issued suspension orders by Lopez. She deferred to give a decision on the fate of Filminera Resources Corp. pending further investigation. The five mining companies that were issued suspension orders are Berong Nickel Corp., OceanaGold Phils., Lepanto Consolidated Mining Corp., Citinickel Mines and Development Corp. and Strong Built Mining Development Corp.
Fortunately for the country, the environment secretary is passionately committed to provide those victim-communities with an alternative source of income through eco-tourism which she, prior to her incumbency in the department, had already proven to be a far better source of livelihood than what the people have right now. 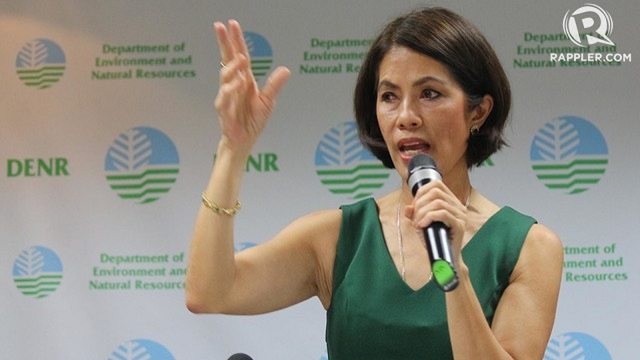 Unfazed by skepticism over her decision to shut down 23 large-scale mines in the country, Environment Secretary Gina Lopez said she was out to prove that “green economy” can provide more jobs than destructive mining even as she assured alternative livelihood opportunities to the affected mine workers and their families. “Give me a year and a half, maximum of two years. I will prove that a green economy can create more jobs than mining could ever create,” Lopez said over the weekend. Lopez was reacting to claims by the Chamber of Mines of the Philippines (COMP) that over 1.2 million workers will lose their jobs with the impending closure of mining firms that failed the industry-wide audit conducted by the Department of Environment and Natural Resources (DENR) due to serious environmental violations. Contrary to COMP’s assertion, Lopez said that available government data would show that mining produced only 234,000 jobs as against the 4.7 million jobs created by tourism in 2014. Although she admitted that mining has indeed created jobs, the industry remains widely regarded as having adverse effects on the environment and communities. Lopez insisted that sustainable economic development could be achieved without destroying the environment and causing suffering to people, and that inclusive green economy is way better alternative to mining. News of the mine closures sent global nickel prices higher and followed the earlier suspension of some operations amid an audit of the country’s 41 mines that began shortly after outspoken President Rodrigo Duterte took office last June. … Lopez said the nickel mines ordered to shut account for about 50 percent of the country’s annual output, which analysts estimate at about 10 percent of world supply. The risk of nickel supply disruption from the Philippines should boost global prices of the metal, analysts say, with the initial mine suspensions last year and the threat of more having fueled a rally. “The Philippine disruption should have a bigger impact on the overall nickel market considering it is the biggest nickel ore producer in the world,” said ANZ commodity strategist Daniel Hynes. 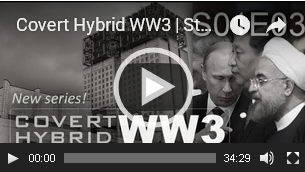 Sovereign actions like this one in the past have caused disproportionate retaliation from the Khazarian Cabal who are deeply engaged in resource exploitation around the world. So, it did not take long for Surigao City, being a host of a number of these mines which are undergoing closure procedures, to experience a 6.7 magnitude earthquake. 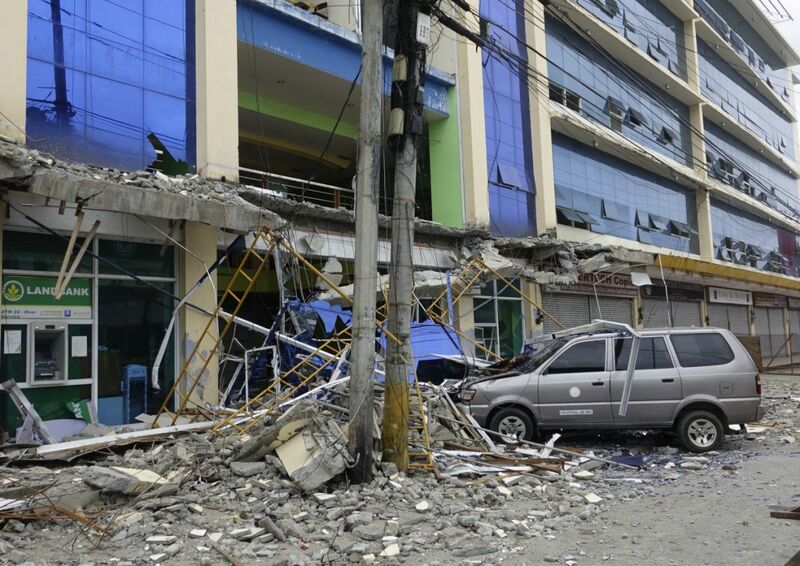 SURIGAO, Philippines (AP) — A powerful nighttime earthquake in the southern Philippines killed at least six people and injured more than 120, with officials combing through cracked buildings and nearby towns Saturday to check on the damage and other possible casualties. The magnitude 6.7 quake roused residents from their sleep late Friday in Surigao del Norte province, forcing hundreds of people to flee their homes. The quake was centered about 16 kilometers (8 miles) northwest of the provincial capital of Surigao at a relatively shallow depth of 10 kilometers (6 miles), said Renato Solidum of the Philippine Institute of Seismology and Volcanology. The same “coincidence” also occurred in Chile after it asserted its sovereignty over its foreign exploiters. Covers weather as a weapon. Look at Italy. It’s Gladio B in weather form. This would explain how Ben from Suspicious 0bservers missed this quake prediction.